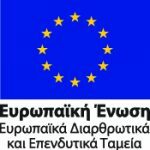 Milestones of Project in Operation – ΑΤΤΙΚΟ ΜΕΤΡΟ Α.Ε. April-06 Commencement of trackwork activities in Keramikos– Geoponiki tunnel section. June-06 Commencement of trackwork activities in Geoponiki – Eleonas tunnel section and commencement of the E/M works in EGALEO Station.